Latvia is an eastern European country of about 2,000,000 located on the eastern shore of the Baltic Sea. Its neighbors are Estonia to the north, Lithuania to the south, and Russia to the east. In 2004, Latvia was one of 10 European nations which were accepted into the European Union. 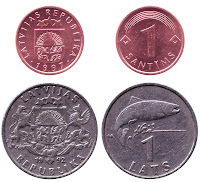 The current currency of Latvia is the lats. 1 lats = 100 santims. But in January 2014, Latvia is expecting to become a full member of the Eurozone and replace their national currency with the euro. This would make Latvia the 18th European nation to join the Eurozone (the countries of the European Union which have switched to the euro). 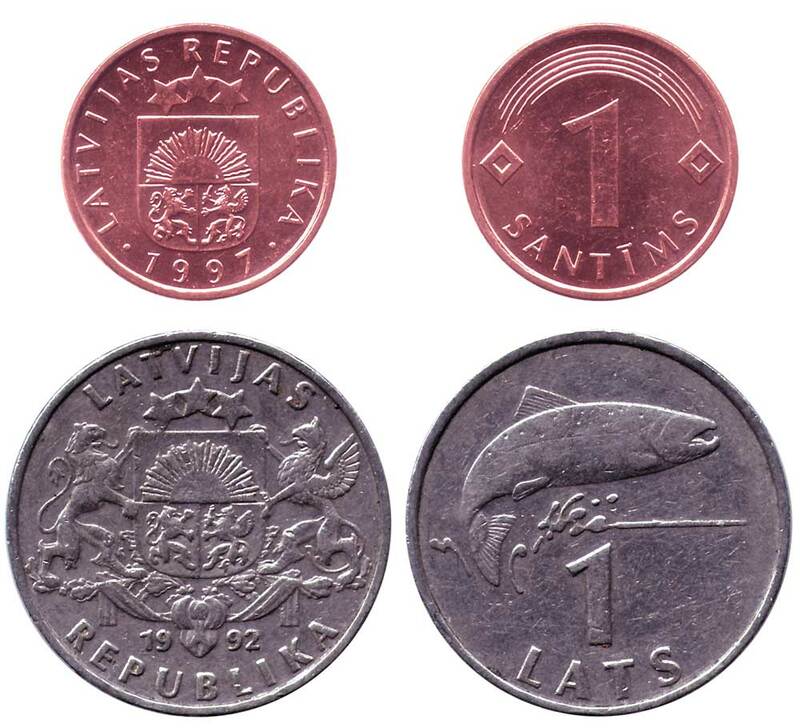 Latvia's lats and santims coin designs have been in use since 1992, when Latvia restored their independence from the Soviet Union. Annual commemorative/collectible 1-lats coins since 2001 have featured animals, plants, a Christmas tree, and a snowman on their reverse. According to the Bank of Latvia (Latvijas Banka), the country's euro coin designs were chosen by a country-wide competition held in 2004. 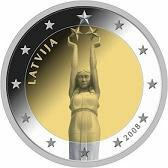 The original wining design for the obverse of the 2-euro coin, the Freedom Monument located in Riga, was decided to be too difficult to depict on a coin and be easily recognizable, so the image from the 1-euro coin, the Latvian folk maiden originally from the 1929-1932 5-lats coin, will be used instead. 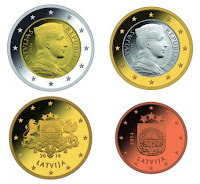 The euro cent coins will feature the Latvian coat-of-arms. As always, it is exciting to have a new type of coin for world coin collectors to search for. 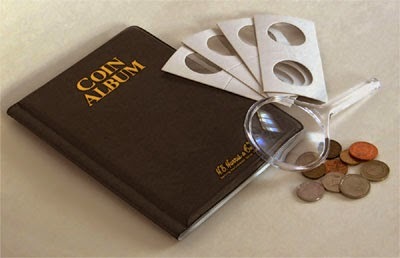 But it is bittersweet because in order to have the new coins, the old lats and santims must be retired. The usual practice for switching over to the euro is to offer a period of time when the old currency is traded in for the new currency, so within a short period of time a large percentage of the old Latvian circulating coins are going to disappear. If you don't have a full set of current Latvian coins, you may want to try to complete your collection in 2013.